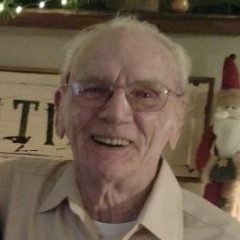 Phil Hollingsworth, 79, of Warsaw, passed away on February 10, 2019 at his home. He was born on October 29, 1939 in Harlan, KY to James Dillon Hollingsworth & Anna Mae Boyd. He served in the USMC from 1956-1959. He was married on August 6, 1967. He retired after 42 years from JC Manufacturing in December of 2018. He enjoyed watching classic westerns and NASCAR which he called the “smart channels”. He is survived by his wife – Linda Hollingsworth of Warsaw. Sons – Richard (Sandy) Hollingsworth of Warsaw, David Hollingsworth of North Webster, Jon Hollingsworth of Noble County. Daughter – Tammy (Craig) Price of Warsaw and stepdaughter – Peggie Boyd of S. Carolina. 14 grandchildren, 17 great-grandchildren, and 1 great-great-grandchild. 1 brother – Roger Gerber. He was preceded by his parents, 1 daughter, and 1 brother. No services are planned, Eastlund Funeral Home assisted the family.